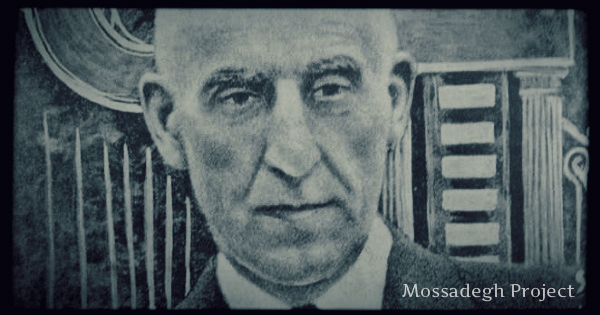 Stories of Dr. Mossadegh's "honesty, integrity and purity"
Today is the 130th anniversary of the birth of Dr. Mohammad Mossadegh, an Iranian statesman who, at great personal sacrifice, dedicated his life in the pursuit of freedom and justice for his country. Though he left this world in 1967, he remains to many a symbol of virtue in a political arena which — now as in the past — overflows with despotism. This week also marks the third anniversary of a pivotal moment in the Iranian people’s continuous struggle with the fundamentalist regime which has ruled over it for more than three decades. The post-election protests in Iran on June 15, 2009 marked the birth of the Green Movement, the most vital anti-government uprising in the history of the Islamic regime. Though its monstrousness, crystallized by the slain figure of Neda, was deeply upsetting to witness, the energy of the movement generated newfound hope — that out of the darkness, light could come. The day following Mossadegh’s birthday is fittingly, Father’s Day, June 17th. Like the ‘Founding Fathers’ in America, Mossadegh has often been referred to as a father figure in Iran — the “Father of the Nation”. So this ‘parental’ theme for influential statesmen has a universal resonance. Ideally, parents protect, nurture and guide their children, passing on values that serve them throught their lifetime. When you think about it, this, in essence, is also the role of a great leader. Conversely, an abusive parent, like an authoritarian and unaccountable government, can do untold damage — indeed, entire generations can suffer as a result. Although known for their words, political figures, like mothers and fathers, lead best by example. Mr. Nosratollah Khazeni served Dr. Mohammad Mossadegh as his office chief during the entire 28 months of his premiership. Years later in an interview, he reminisced about his experience of working for him. Khazeni died on December 28, 2008 at the age of 90. The following translated portions of his interview, published in the Persian book Mossadegh in the Presence of History by Mahmoud Tolouee, demonstrate examples of Mossadegh’s character. Perhaps these stories will recall memories of a kind elder relative, teacher or mentor. “Mossadegh would refuse to accept the smallest gift even from people closest to him. He would not even allow the diplomatic gifts to come to his house. He had arranged for the gifts to be delivered directly to Golestan Palace for safekeeping with the office of royal effects. “I remember once Mr. A. T. Kalali, a large land owner and a friend of Dr. Mossadegh from Mashhad had sent him a small truck loaded with kharbozeh [famous melon from Mashhad, and a favorite of Mossadegh’s]. Mossadegh was not pleased and thought it would set a bad precedent, and besides it’s unnecessary since those melons are available in Tehran. Mossadegh said the truck should return to the sender as is. I told him that by the time it reaches Mashhad all of the melons would be damaged or spoiled. Mossadegh was adamant and said he would not allow even one of the melons to be brought into his house. I then suggested the melons be taken to the mental asylum where they could be consumed by the patients, to which Mossadegh had no objection. “One day Mr. Arbab Mehdi Yazdi, a tea importer and head of the tea importers union, requested to meet with Dr. Mossadegh. I told Dr. Mossadegh that Yazdi, with several business people, are coming to meet with him to discuss their business. Mossadegh said, in that case brew Laheejan Tea for the guests [Laheejan is a city by the Caspian Sea and used to be a major quality tea producer in the country]. “During his 28 months as premier Mossadegh personally paid for all his expenses [Mossadegh never drew a salary as minister, Majles deputy or as Prime Minister]. Not a penny from government allocated money to the Prime Minister was used. He provided three meals a day for 50 soldiers and non-commissioned officers who were stationed in and around his house. He ate the same food the soldiers received. One day he saw that the soldiers’ food tray contained only a quarter of a cantaloupe, to which he objected. He said these are young soldiers and should receive half a cantaloupe. When he travelled to the U.S. he paid all the expenses for himself, his son [who was also his personal physician] and daughter [Zia-ashraf as personal nurse and secretary] as well as the advisers. He paid for all the gifts he gave during his trip including to President Truman. “Mossadegh had great respect for his wife and was very loyal to her. He despised men who would take a second wife. One evening near midnight, he received a call from a woman whose husband worked for him. She told Mossadegh that her husband had not come home for several nights and has told her that he is staying in Dr. Mossadegh’s house because of heavy work. In the morning Mossadegh asked me to investigate and find out where the employee goes. I learned that he has taken another wife and is spending nights in her place. “His oath was always "be Hagh-e-Khoda" [What is due to God, In God I trust]. He was always very attentive. In terms of honesty, integrity, and purity he had no equal. He never uttered a lie. He never said anything unlawful. If there was a dispute between two people, even between a servant and a minister, he would first investigate and would then offer a judgment without prejudice.